Avoid extra trips and stay on track with a 2-pack of Original HP 950 black ink cartridges (L0S28AN). Use Original HP 950 black ink with your HP printer and get the quality and reliability of fade-resistant, laser-quality text. 2-packs allow for the convenience of extra ink, so your printing can go uninterrupted. Original HP 950 combo packs deliver sharp black text and striking grayscale images for professional-looking documents. Help ensure outstanding prints, every time, with Original HP ink. 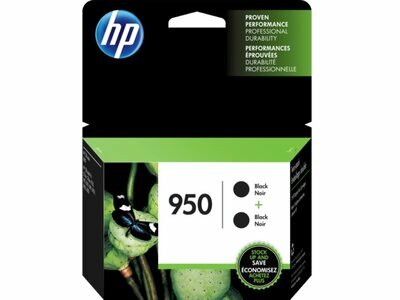 HP 950 black ink cartridges work with: HP OfficeJet Pro 251dw, 276dw, 8100, 8600, 8600 Plus, 8600 Premium, 8610, 8615, 8620, 8625, 8630. Up to 8% savings when you choose Original HP ink twin-packs.  Page yield of HP 950: up to 1,000 pages black per cartridge. Your HP OfficeJet Pro printer requires four HP 950 & 951 original ink cartridges. Don’t forget to also purchase the HP 951 or 951XL cyan, magenta and yellow original ink cartridges. What’s in the Box: Two new Original HP 950 (L0S28AN) black ink cartridges (CN049AN). 1 Compared with the majority of color laser printers < $300 USD, Q3 2016; market share as reported by IDC as of Q3 2016. Cost-per-page (CPP) comparisons for laser supplies are based on published specifications of the manufacturers’ highest-capacity cartridges and long-life consumables. CPP comparisons for high-capacity HP ink supplies are based on published specifications of the manufacturers’ highest-capacity cartridges. CPP based on high-capacity ink cartridges' estimated street price and page yield. ISO yield based on continuous printing in default mode. For more information, see http://www.hp.com/go/learnaboutsupplies. 2 HP Planet Partners Program availability varies. For details, see http://www.hp.com/recycle. On recycled materials in cartridges, see http://www.hp.com/go/recycledcontent. 4 Based on HP internal testing, using paper with the ColorLok® logo. 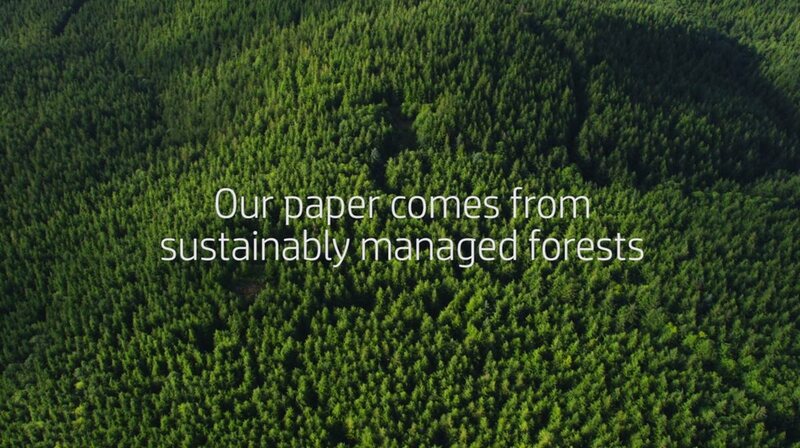 5 Based on paper-industry predictions for acid-free papers and Original HP inks; colorant stability data at room temperature based on similar systems tested per ISO 11798 and ISO 18909.